Whatever your opinion regarding the Urewera Terror raids, you have to admit that the Police and Crown Law have failed. The so-called “Urewera 4” were convicted on about half of the least-serious charges brought, and the jury was hung on the more serious charges of participation in an organised criminal group. The defendants may be retried on these latter charges, and they may yet be found guilty. But the paucity of the Police and Crown Law operation is pretty clear regardless. Let’s put this in context. The Crown sought initially to lay dozens more charges against many more people than the four who eventually stood trial; leave to bring charges under the Terrorism Suppression Act was not granted, and most of the other charges were dropped after the Supreme Court ruled that the evidence upon which they were founded had been illegally obtained. A year of fancy intensive surveillance; an extreme and unprecedented police assault on an unsuspecting community, including violent treatment of old people and children; four and a half years of lawyering comprising the most expensive trial in New Zealand history, held almost as far from the homes of the defendants as is possible; leaks and publicity tactics designed to bring about a de-facto trial-by-media — and the best they convict on is Arms Act offences such as about half the adult male population of rural New Zealand would be guilty of at some time or other? This, we are supposed to believe, is Aotearoa’s finest at work. Not only did they fail at the nominal objective of securing convictions, they totally failed at the personal, punitive motive of punishing Tāme Iti and shaming him before his people. Iti has been literally the face of Māori activism, at least since Hone Harawira took the institutional path, and it is impossible to see this trial as anything other than utu for his temerity in escaping conviction for previous acts of defiant political theatre, most notably shooting a flag at a Waitangi Tribunal hearing in 2005. By going in loud and heavy, attempting to show them uppity Māoris who was boss, the Crown set themselves an ambitious target: they had to actually show who was boss. By failing to convict him on the serious charges at a canter, they failed. Tāme Iti is now a celebrity. His mythology is greater than his deeds, except inasmuch as resisting such a legal and ideological onslaught with dignity is a significant deed in itself. He has, in the view of a significant minority of the population, been victimised by the system, and that victimisation provides proof of Crown oppression he had previously struggled to demonstrate. For the rest of the population, Iti represents a brown, tattooed bogeyman, an object of fear, and of loathing that ranges from mild to virulent depending on who you talk to. Iti isn’t standing for office, he doesn’t need to be loved by 50%+1; he just needs to engender fervent support among an active minority, and vague feelings of unease in the rest. Notoriety differs from fame only in its polarity. The Police and the Crown have granted Tāme Iti this sort of fame. He should probably thank them for it. As if the particular and the personal weren’t failures enough, the Crown also failed at the strategic project of redefining “activism” as “extremism”. Despite all the preceding factors weighing in the Crown’s favour, that a heavily-vetted jury was split indicates that they have failed to blur this crucial distinction, and failed to reframe left-wing and Māori activism* as a threat to civilisation, rather than a legitimate expression of dissent in an open society. This suggests that, in spite of years of Police infiltration and surveillance, of decades of stigmatisation and propagandisation of groups from Ngā Tamatoa to Ploughshares to SAFE, in spite of the better part of two centuries of official attempts to elide the gulf between dissent and insurrection, the public doesn’t really buy it. The jury — and, I would suggest, the people of Aotearoa — quite like and value that distinction and although it is been somewhat eroded, there it remains. For that finding alone, and regardless of the result of any retrial, yesterday was a good day. * Māori and leftist because, let us not forget, the Right Wing Resistance are free to continue with their training camps and their pseudo-secessionist projects, unmolested. My thoughts on Te Mana aren’t very mature — they are very mixed, and quite primary, and I’m afraid I’m not very well informed. I’ve also been insanely busy the past few months — and especially the past month, and have had little time to focus on it. But last week I received a request by email from a regular KP commenter to post my thoughts on Te Mana, and what follows is a somewhat expanded edit of the reply I sent to him. The initial comments suggested concern that Te Mana might be “opportunistically” taken over by the Pākehā “far left”, and I do agree that Te Mana needs to be Māori-led, and its functions need to be safeguarded against hijack by the usual bandwagon-jumpers — among whom I include folk like John Minto, Socialist Aotearoa and so on. The māori party, I think it’s now pretty clear, has been significantly colonised by Pākehā interests on the right, and if Te Mana is to prove any more robust, it must insure itself against the same happening from the other side. As a minor party, above all it needs to have focus and discipline, and too many chiefs (as it were) will lead to factionalisation, and that’s to everyone’s detriment. I’m not opposed to diversity within a movement, but I am against the leaders of one noisy faction taking over a movement for their own ends. That’s the major risk I see from people like John Minto and the principals of Socialist Aotearoa taking a prominent role: their vision isn’t the same as Hone’s, and although I expect they understand that, I’m certain the rank and file they command do not. Moreover, I think they’re a liability — even more than Hone is a liability, if possible — because they will turn off Māori as well as non-socialist Pākehā. That’s as far as my reasoned thoughts on the party’s internal dynamics go, and I welcome comment from anyone better informed on this topic than I am. As far as where the party sits within NZ’s wider political context I think I have a better handle on things. The conventional wisdom about ACT and Te Mana engaging in a bit of mutual base-engagement is pretty good, but still a sideshow. The main event is (as ever) between National and Labour, and Te Mana’s relevance here rests on four main points. First, Te Mana, with Hone likely to win Te Tai Tokerau, should be self-sustaining, at least for now. It needs to stand tall in the by-election to prove to people that they should support it in the general election. As far as Te Mana’s brand goes, the establishment Left distancing themselves is not really a bad thing (much more on this later). 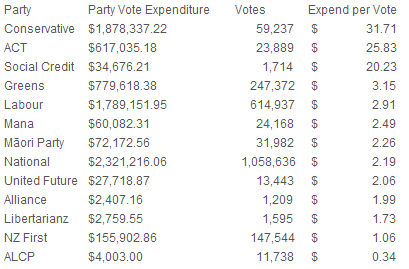 Te Mana needs to attract disenchanted māori party voters, and those who can’t be bothered voting for those parties. Its constituency needs to be positive-sum to as great an extent as possible, because the existing electoral offerings are broadly zero-sum. Second, this is the establishment Left’s opportunity to say “for the past decade and a bit, National have been scaremongering about how we’re loony fringe extremists; socialists, communists, environmentalist haters of humanity, run by anti-family lesbians and all that — now Aotearoa gets to see what a real radical left party looks like.” The truth is that the Greens are perfectly moderate and gentle, and Labour are so ferociously orthodox they pose no meaningful threat to the established order of things, and Te Mana gives them a chance to illustrate that. 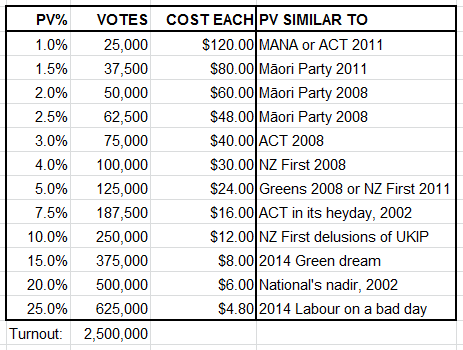 Third, and further to the second point, Te Mana provides Labour a crucial opportunity to differentiate from National. While historically the right has taken great glee in painting the Greens as the left’s equivalent of ACT, this is bogus. ACT is a genuine extremist party, espousing positions abhorrent even to many right-wingers, whose electoral existence in New Zealand relies upon them gaming the MMP threshold exemption because for most of the past decade they have been unable to persuade even one in 20 voters to support them. The Greens, on the other hand, represent a global movement whose positions and support are becoming more, not less, mainstream, and while not exactly rocketing skyward, their support remains strong and is steadily climbing. As much as the right wishes to claim the Greens are ACT’s left-wing equivalent, it is Te Mana who more appropriately fills that role. 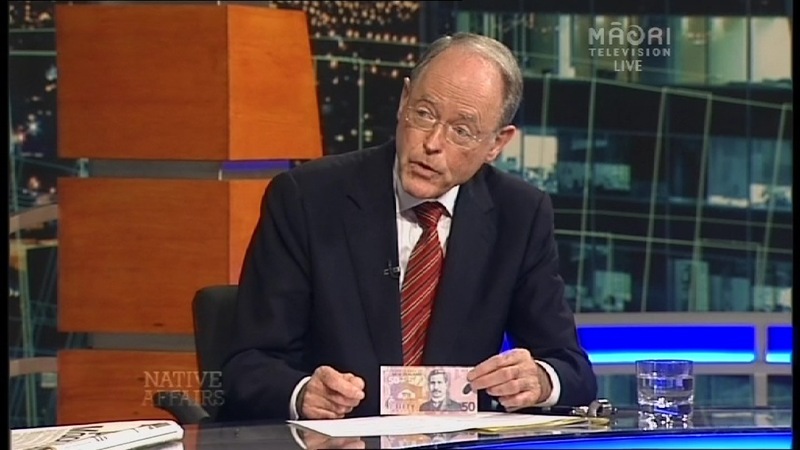 John Key was swift to label ACT and Don Brash ‘extremist’. He’s right, but he’s also protecting National’s voter base. This was tactically smart but strategically foolish, because Labour now get to label Te Mana as ‘extremist’ (‘radical’ is more correct, but that’s a technicality) and then say “National are working with the guy they admit is an extremist — we’re ruling out working with the extremist Mana Party. We’ve been telling you this whole term that John Key is a wolf in sheep’s clothing, and now he’s proven it.” They’ve done the first bit and I can only hope they have a plan to do the second bit, reclaiming the boring harmless sensible moderate ground they so richly deserve to hold. Fourth (this wasn’t included in the email but is something I’ve argued elsewhere): while many people have pointed out that the by-election will cost money, which the three parties contesting it don’t have much of, by the same token it gives those parties an opportunity to go into the general election with a bit of momentum. It will give them a fair bit of media exposure (not all of which will be favourable), an opportunity to field-test their lines and positions. Most importantly, it will give the people involved — the candidates themselves, and the campaign managers and organisers and doorknockers and drivers and ringawera — valuable frontline experience. Falling into a rugby analogy: it gives the parties a chance to build match-fitness for the main event which follows. Finally, I think the best outcome for both Labour and Te Mana here is the one Morgan has persuasively argued is most likely — for Hone Harawira to beat Kelvin Davis by a slim margin. Davis is a strong MP, if inexperienced, and although marginally placed at 33 on the list, should get in at the general election if Labour can at least maintain their polling. A tight contest will light a fire under both parties, which is valuable in and of itself. Hone Harawira has remained mostly true to his principles, undoubtedly represents a constituency and thus possesses at least a moral mandate to represent those who vote for him; Davis, also, but those principles are also represented by the Labour party. Hone would (on present polling of about 3%) bring in a couple of others, who would be in a position to advocate radical positions and apply pressure to the māori, Labour and Green parties while permitting Labour and Green to solidify their claim to the middle-ground, and would give the parties of the left an opportunity to feel each other out and reposition. 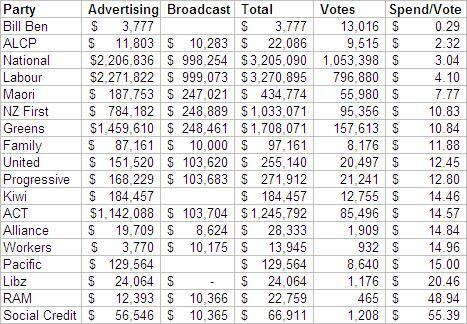 More to the point, in terms of November 27 realpolitik, the lesson of NZ First in 2008 should be clear: if Hone doesn’t win his electorate and Te Mana doesn’t pass 5%, those votes are wasted, and National will be the main beneficiary. Labour’s future — in 2012 as it was in the past — is not to go it alone as the all-singing, all-dancing united left party, but at the core of a wider movement including the diverse and often misguided voices which characterise the wider left. Those horses (as has been exhaustively demonstrated by the NewLabour, Alliance and Progressive parties) cannot be bound by the same rope, and sometimes must be given their head.